– Lt. Gen. Benjamin O. Davis Jr.
Code named Operation Corkscrew, the air offensive kicked off on May 18, 1943. From then until the invasion date of June 11, the island came under constant air attack from heavy and medium bombers and fighter-bombers. Pantelleria would be the 99th’s baptism of fire. The squadron averaged two missions a day. In addition to escorting bombers, the pilots also conducted dive-bombing and strafing missions. Pantelleria would be the 99th’s baptism of fire. The squadron averaged two missions a day. In addition to escorting bombers, the pilots also conducted dive-bombing and strafing missions. 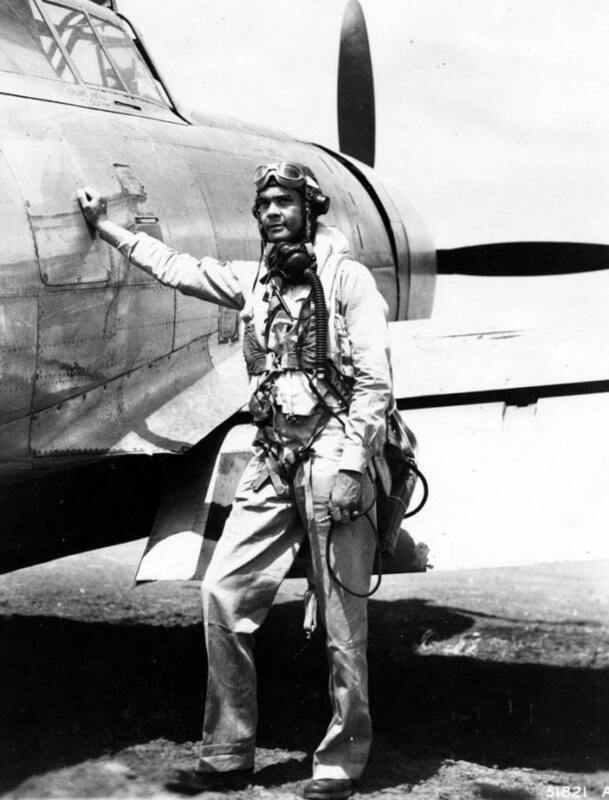 Though the pilots did not shoot down any enemy planes, they did damage several, and were successful in driving away air attacks on the bombers – which suffered minimal or no losses, a foretaste of defensive tactics that would define the Tuskegee Airmen’s reputation in the war. 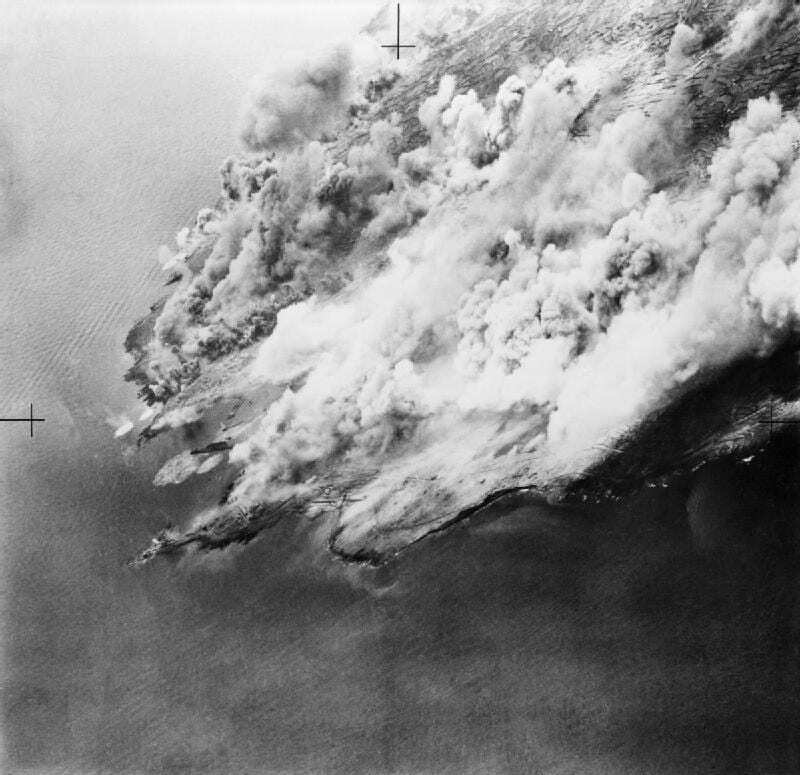 In the three-week air campaign, 6,400 tons of bombs were dropped on targets on Pantelleria. On June 11, assault craft carrying troops from the British 1st Division headed toward Pantelleria’s beaches. But, contrary to British predictions of beaches bathed in blood, before the troops could land, the Italian governor capitulated. The garrison on Lampedusa surrendered the next day. The only casualty was a soldier bitten by a mule. Contrary to British predictions of beaches bathed in blood, before the troops could land, the Italian governor capitulated. Davis would have a long and distinguished career in the Air Force, retiring in 1970 with the rank of lieutenant general. In 1998, he was advanced to the rank of general (retired list). He died in 2002. Great article, but the caption for the photo mis-identifies at least one of the officers. 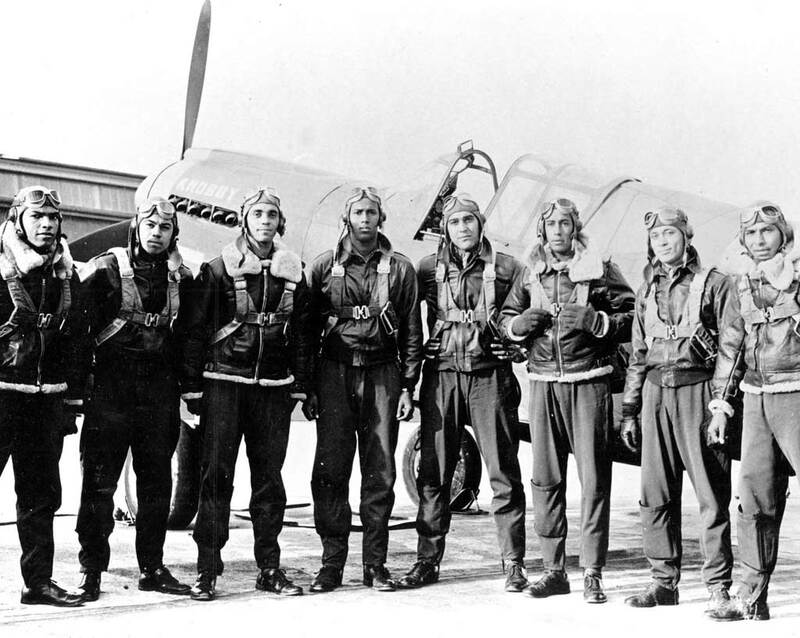 Captain Benjamin O. Davis, Jr., who later became the first commanding officer of the 332nd Fighter Group (the Tuskegee Airmen) is identified as the officer on the right in the front row. He is actually the officer in the back row on the far left. Thanks for the catch Tim. That was an oversight. The correction has been made. Glad you enjoyed the article.